Monday, October 15, 2018 (Miami, FL): boats.com, the world’s largest online publisher of marine content, today announced the launch of their redesigned boat shopping platform. The new boats.com reflects a reimagined boat shopping experience, while addressing one of the industry’s biggest challenges: keeping boat shoppers, particularly first time boat buyers, in the purchase funnel. According to Discover Boating, 64% of Americans shopping for a boat for the first time abandon their search for fear of not having enough information before purchasing. 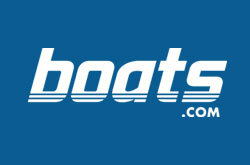 By creating a new way for consumers to shop for boats, the newly redesigned boats.com aims to keep the more than two million monthly shoppers on boats.com engaged throughout the purchase journey, providing them with activity-based search capability, the most current information about boat types and brands, and the widest selection of new and used boats. The new boats.com is designed for every type of consumer: the first-time boat buyers who may not know where to start, lapsed boaters who have not owned a boat in some time and want to get back up to speed about what’s new, and current owners who have a better idea of what they are looking for, but may just want to compare different models. Shopping by activity, class and brand provides a pathway to the purchase journey for all consumers. First-time boat buyers can begin their journey searching by activity, where they learn which boats are best suited for their favorite pastimes, such as fishing and wakesurfing. Searching by activity also benefits lapsed boaters who may not be aware of how tailor-made boats have become for specific activities. For example, center console boats have evolved in size and power for sportfishing use, and ski/wake boats have added ballast systems to take wakesurfing to a new level. The new boats.com experience provides detailed descriptions about these improvements. Further in the purchase process, shopping by class is a traditional feature that serves as a likely first step for lapsed boaters, as well as some current boat owners. Boat owners lapse for any number of reasons – ranging from moving to a different city, a change in family status or employment, etc. A recent Boats Group study determined that 16% of leads submitted come from lapsed boaters, so It was important for the new boats.com to provide a path for this group. One of the newest features of the reimagined boats.com is the brand showroom, which showcases boat brands and the lifestyle they offer – alongside listings of new and used models. Shopping by brand is one of the final steps in the decision-making process, with current boat owners likely seeking this information out at the beginning of their search. Current boat owners can also use the brand showroom for information to contact their nearest dealer, access owners’ manuals, read reviews and articles– all in one place. Using the journey-based Boat Finder tool, consumers have a new path for determining the best boats for their lifestyle. By answering three easy questions – What do you like to do on the water? How much are you willing to spend? What size boat are you looking for? – Boat Finder delivers the boat types that match the specified criteria. The final results deliver consumers the boat listings that meet their exact specifications. Visit boats.com today to see how it helps bring boaters of all kinds out on the water through a reimagined experience. Empowering consumers with the largest selection of new and used boats, searchable by activity, class and brand is how boats.com is tackling the most important issue facing the boating industry. About boats.com: #everythingboats. The largest global search engine with more new and used boats for sale in 146 countries searchable by activity, brand and class. Bolstered by the world’s largest selection of published marine content with 30,000 expert articles, boat reviews and videos.